January 3 – 10, 2017. Nightly dancing to live music, nightly shows, award-winning dance teachers, daily group dance lessons, cocktail parties, and more. Bask in the warmth and sunshine of the Yucatan Peninsula, Belize, and Key West Florida. 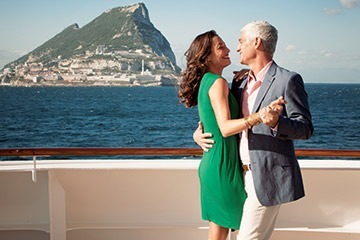 Ask about our awesome ballroom dance cruises organized by Evia. Want to know more, contact me to book today! FARES FROM : $2,425. The perfect beginning to a new year…a sun-kissed escape, warm-weather escape balancing blissful days at sea with visits to isles of tropical fun. All prices in USD. Sign up before June 21 and save an additional $200 per person. Not included: port fees mentioned separately, travel insurance, flights, personal purchases, consumer protection, private lessons available upon request, dance fees where applicable.